Young members of the local community in Liverpool were given an unforgettable matchday experience at Anfield last weekend, courtesy of Red Neighbours. 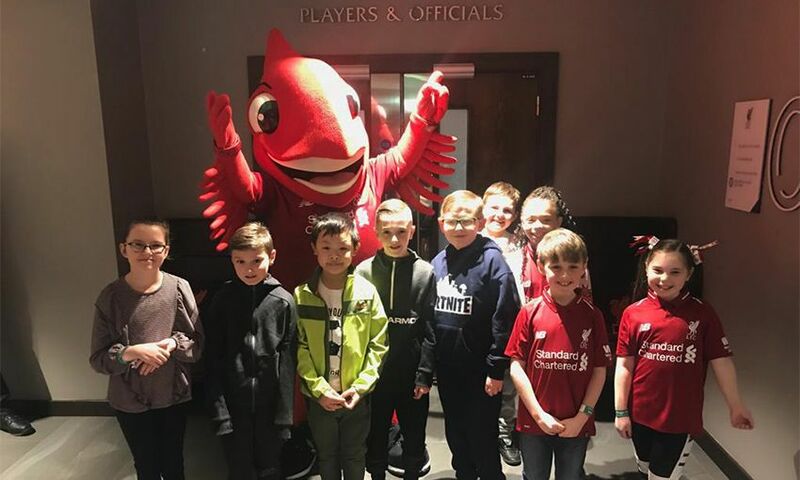 As part of the programme’s commitment to creating memorable experiences for young people, pupils from All Saints Catholic Primary School, in Anfield, were invited to enjoy a special day at Liverpool's game against AFC Bournemouth. The youngsters were given a unique chance to welcome players from both teams as they arrived at the stadium, and enjoyed a special pre-match meet and greet with official club mascot, Mighty Red. Pupils from North Liverpool Academy, Florence Melly Primary School, Faith Primary School and Whitefield Primary School also attended Saturday’s game as part of Red Neighbours' free tickets for schools scheme. The initiative provides local schools in the L4, L5 and L6 postcodes with 55 tickets for every Premier League home fixture, with more than 1,000 pupils benefitting across the season.